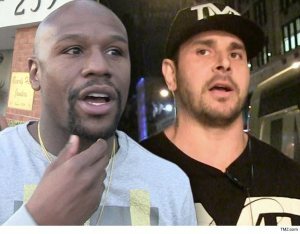 TMZ SPORTS -- It's only been 5 months since a gunman opened fire on Floyd Mayweather's entourage in Atlanta -- wounding his bodyguard -- but cops now tell TMZ Sports the case has essentially gone cold. No arrests. No suspects. No leads. As we previously reported, Floyd and his entourage were returning to the Intercontinental hotel in Buckhead around 3 AM on April 9 when someone sprayed at least 12 shots at one of the sprinter vans in the caravan. 0416-floyd-mayweather-car-shooting-damage-gallery-launch-02Floyd's bodyguard, Greg La Rosa, was shot in the leg and was rushed to the hospital. Miraculously, none of the other 6 people inside the sprinter van were hit. In the wake of the shooting, cops said it appeared Floyd's crew was specifically targeted -- though it's unclear if the shooter was trying to kill Floyd. Now, the Atlanta PD tells TMZ Sports ... "Investigators have followed up on all available leads, met with the victim, and attempted to locate video." "Unfortunately, we have not been able to identify any suspects in this case." Cops are still encouraging people with information to come forward. As for Greg, he tells us ... the recovery is going very well and he expects to be 100%.